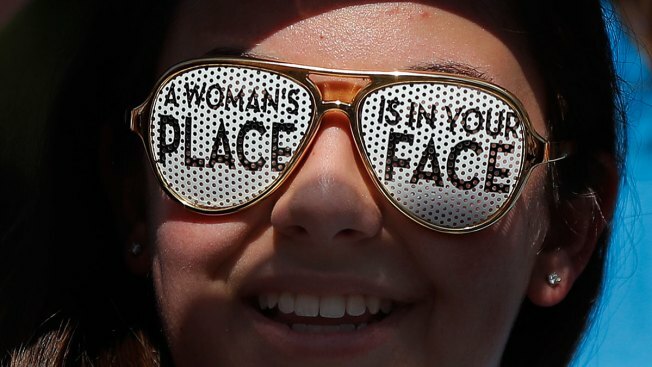 A woman demonstrates during a pro-choice rally, Tuesday, July 10, 2018, in New York. Many Democrats and abortion-rights supporters believe a new conservative justice could tilt the court in favor of overturning Roe v. Wade. As President Donald Trump’s Supreme Court pick readies for his confirmation hearing, support for the court’s landmark ruling in Roe v. Wade has hit an all-time high.